Save AED 0 (0%) Earn 29 Shukrans What is Shukran? Shukran is the Landmark Group’s award-winning loyalty programme in the Middle East, which allows you to earn Shukrans when you shop any of our brands. 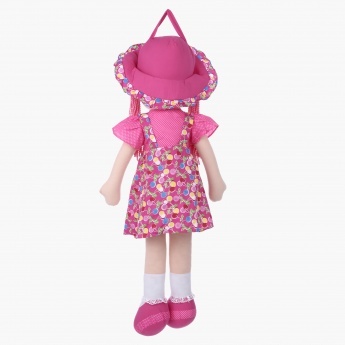 Gift your little one this delightful rag doll and watch her play cheerfully. Crafted with long hands and legs, it is clothed in a beautiful dress and matching shoes.